A-- $31.50 can hard copy shipping included. $5.00 with any additional purchase. 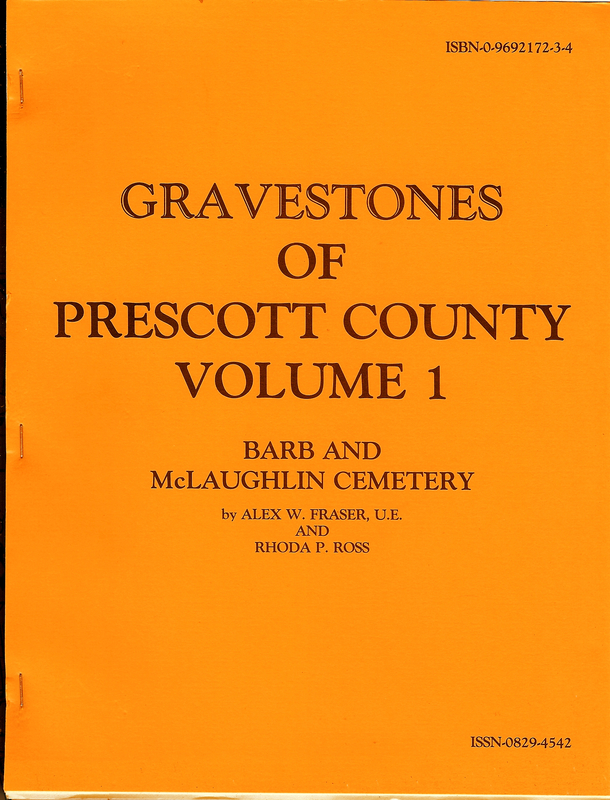 listing 310 gravestone markers from Barb & McLaughlin Cemeteries. 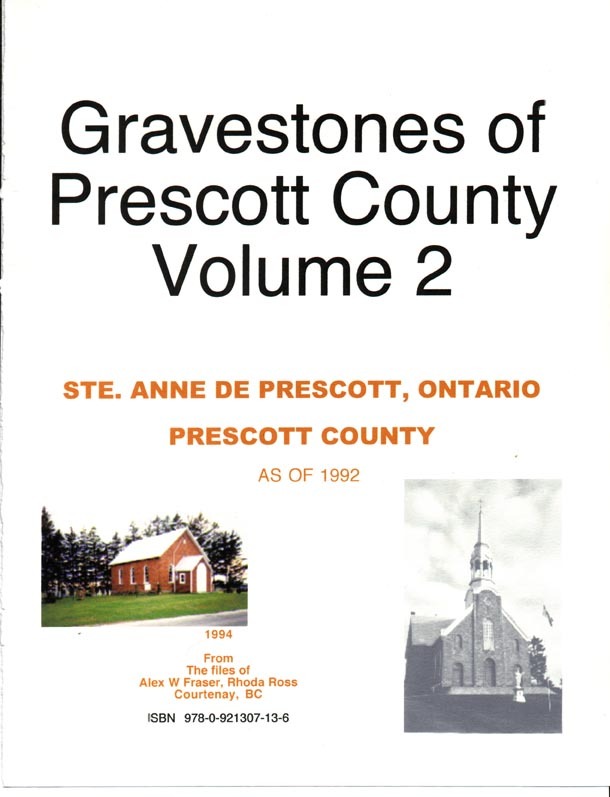 as of 1995, By Alex W Fraser & Rhoda Ross, 132 pages, listing 560 markers--p.7-91, Alphabetical Name index--p.93-131-- with birth & death year as available for each person. Available in hardcopy & pdf format on CD.